The Cristo Rei (Christ the King) statue that overlooks Lisbon from across the river in Almada. The monument is set on a high cliff top (133 metres / 400 feet) above the Tagus river mouth and set on a 82 metre (269 ft) pedestal. The statue itself measures 28 metres (92ft). This photo was taken from the observation platform at the base of the statue. 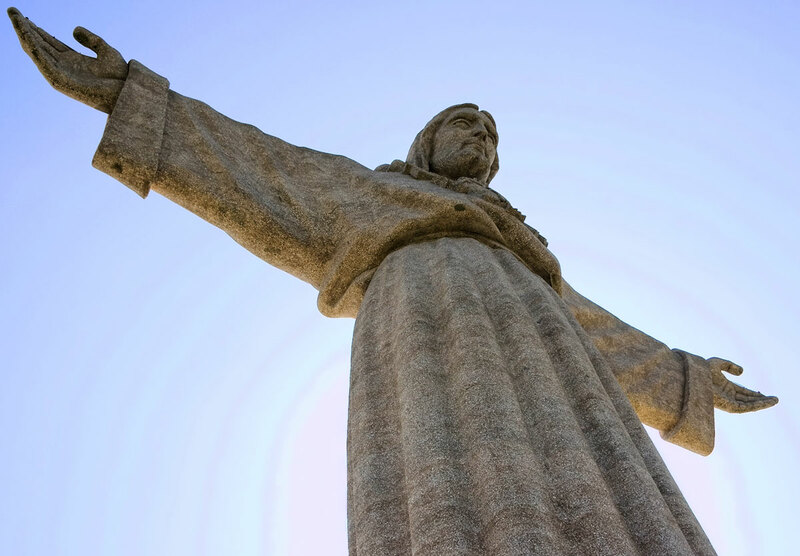 The statue was officially completed in 1959, but was erected in gratitude of Portugal being largely spared the destruction of World War II.